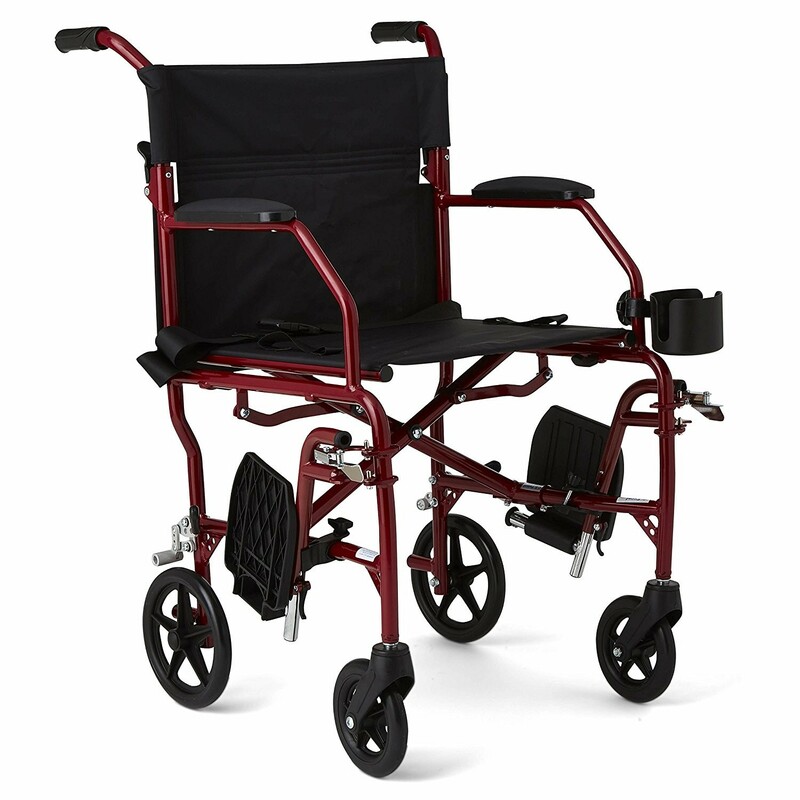 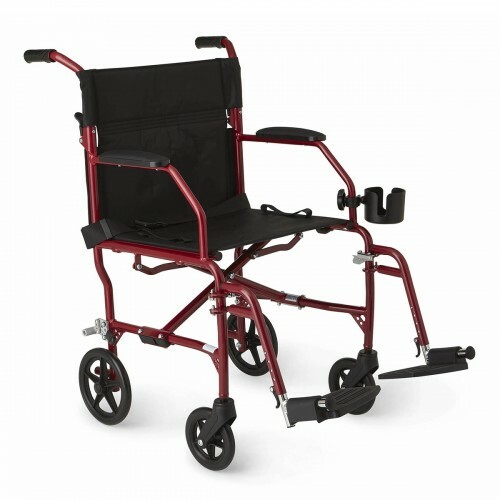 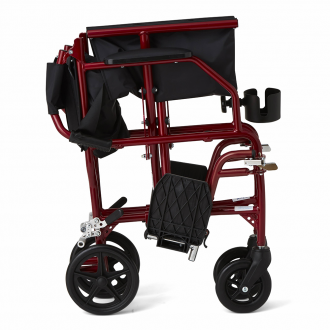 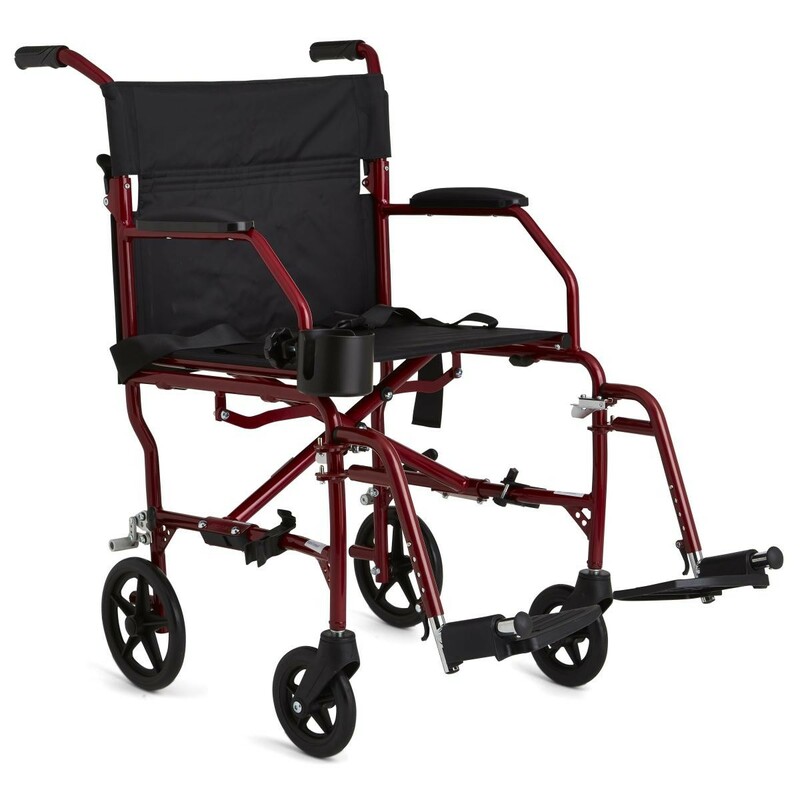 Medline Ultralight Transport Wheelchair 19"
The Medline Ultralight Transport Chair weighs only 14.8 lbs - almost 25% lighter than standard folding transport chairs. 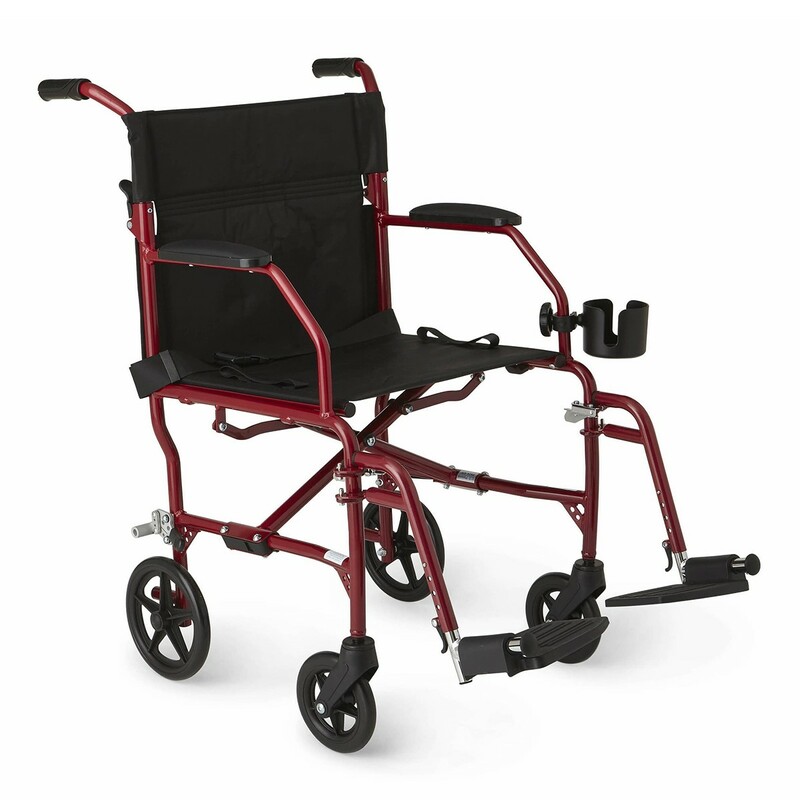 The Medline Ultralight Chair also features breathable nylon upholstery, an attractive colored frame and comfortable, “restaurant-style” arms - so you can pull up to tables and eat comfortably. 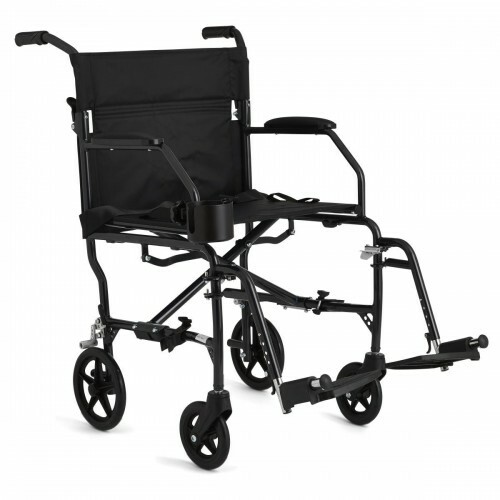 The chair not only has a fold-down back but is foldable for length-wise for easy transport. 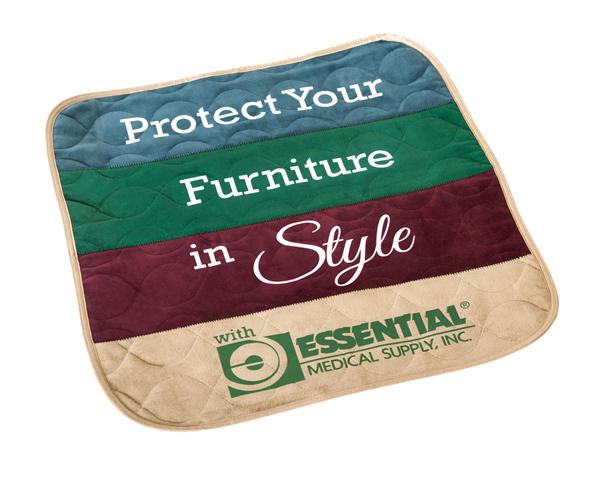 The backside of the chair contains a key ring and multiple pockets for your billfold or iPod, cell phone, drinking bottle, and identification tag and includes a free cup holder.